An ITSM Assessment in 3 Days – Is It Possible? I was recently approached by a local enterprise with the question “Can you undertake an IT service management (ITSM) assessment and how many days will it take?” The reason for them asking was that they wanted it finished as quickly as possible; but, based on previous assessments, the anticipation was that the result will take at least a few weeks. So, I did some research, sent back some questions, and came back with an answer – I could do it in three working days. They were shocked at the speed and asked how this would be possible. The main point is that this is an ITSM and not an ITIL assessment. But sadly, many people don’t differentiate between the two. Let me give a simple explanation: ITSM is the goal, in the pursuit of better business outcomes, and ITIL is one of the ways to achieve it. During my research into how quickly I could undertake a robust assessment, I found out that the majority of ITSM assessments are actually ITIL process maturity assessments, where one goes process-by-process and evaluates current and future state. For sure, this will take weeks if not months, but is this really what was needed? So, how can we measure whether we’re delivering the value we promised to our customers and in the simplest possible way? 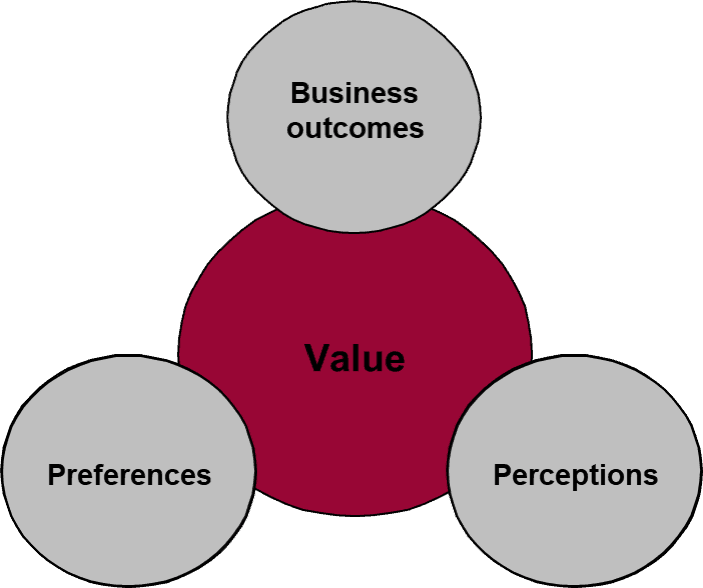 Business outcomes – what can the customer achieve as a result of service consumption (outputs vs. outcomes)? For example, the outcome of the incident management process is not the resolved incident (this is the output), but the stability of the service which allows the business to function (this is the outcome). Preferences – the customer’s preferences in respect of the service: language, reporting schedule, payment, etc. Perception – how does the customer perceive the service delivery? This is the trickiest one. There’s a term I really like – the watermelon effect – where all service level agreement (SLA) reports are green, but the customer is unhappy. So, while the service looks green, it’s red under the skin – just like watermelons. So, how can we do an ITSM assessment in three days? If your mind is rushing ahead, I bet that you’re now getting close to the answer I sent to them. Day 1: Define and describe what the key desired business outcomes are. If possible, prioritize. Provide this prioritization to IT. Set up a mechanism to update this prioritization regularly. Day 2: Document business users’ preferences. Don’t limit the number. When ready, think about which ones make sense and which do not. We all know the famous 80/20 rule. Not every desire should be fulfilled. Remember this is an ITSM assessment, so don’t go process by process – I bet most of the preferences will be non-process related. Set up a mechanism to update these preferences regularly. Can we do an ITSM assessment in a non-ITIL organization? I hope you can answer this immediately – yes. If you stick to ITSM, and don’t go process by process, then you can do it. Please note that I ended all the above three points with the setting up of an update mechanism. This means that you can do this assessment in any Agile/DevOps/Whatever environment if you agree that these are the three pillars of value. Will this assessment bring value to an organization? It might sound limited in scope, but I’ve always tried to provide simple and elegant solutions to fight complex problems. The idea is that even at an enterprise level there’s still a lot of misalignment between business and IT. So, what better way to improve the situation than to start simple, agree on these three points, and see how it goes? I’m a process designer, but I never forget that processes are not the goal, they’re the way to achieve outcomes. Thus, before we focus on processes we need to have clear and aligned goals. The main purpose of my article was to show you that ITSM assessments can be done easily and quickly. I also tried to show you that ITSM is not ITIL, and even if you don’t like ITIL (which I can’t imagine, because I love adopting and adapting it) you can take still action and improve your IT service delivery. Nikola Gaydarov has been in the IT sector for almost 10 years. He started his career in HP Global Delivery Center back in 2007 and since then has been involved in many different roles: technical consultant, operational manager, transition manager and ITSM implementation consultant. During these years he has worked both domestically and in Western Europe. Designing and improving processes is his passion. Working with the stakeholders to define all roles and responsibilities is where he finds most of the challenges. Proposing solutions and solving those challenges is his biggest reward. He has started teaching ITIL® since the beginning of 2015 after successfully becoming an ITIL® Expert. Courses that he has successfully delivered are: ITIL® Foundation, ITIL® OSA, ITIL® RCV, ITIL® PPO, ITIL® SOA and ITIL® MALC. 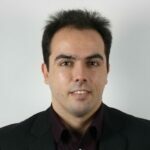 As a consultant Nikola has gained also a lot of practical experience in Project Management. He used this experience to successfully acquire PRINCE2® Practitioner certification. Here we look at where incident management stops and problem management begins, and the difference between the two – with help from Batman and Columbo. This blog shares some insights on how to best overcome some of the challenges in adopting ITIL – the ITSM best practice framework – and its processes. Why Transition ITSM to Modern Service Management? Read how organizations can use something called "Modern Service Management" to help them move from legacy, traditional IT models to an easier, more efficient, cost effective, and agile service structure. Hi Nikola – excellent article! I have a vested interest in this area and still think that the assessment of individual processes and functions is important… but measurement of outcomes (and, I would argue, value streams that produce them) is the direction we need to move in. Thanks for this piece!